I can describe this person as a controversial figure. He is also versatile, and his legacy is not studied well enough. On the one hand, he is a Baptist minister, who is speaking about Creationism and about the age of the Earth (young Earth). Kent Hovind debates everywhere (I am speaking about different schools and universities), with everybody (I mean professors), trying to convince and being disregarded. However, he managed to found Creation Science Evangelism in 1989, although it cannot be a proof of his rightness. Many creationists believe that Hovind's statements and Hovind's applications do not withstand criticism. For example, the article by Carl Wieland, Ken Ham, and Jonathan Sarfati observes: "Kent Hovind's source time after time miscomprehend not only our subject but many moments in general. On the other hand, I can see Dr.Dino in prison today. His troubles began in 1991 because of his theme park called “Dinosaur Adventure Land” in Pensacola, Florida. He was defendant in not paying the back taxes. Menacing an IRS agent (the “minatory” prayer). Kent Hovind was sentenced to ten years in prison, and he had been serving for 99 months; his wife, Jo Hovind, spent nine months in jail. Kent Hovind was pretended to be freed to house arrest in February 2015 and completely disengaged in July 2015. However, his life was not easy thereafter as he faced new charges filed against him to the point that if all trials considered, there would be enough reasons for keeping him jailed to the end of his life. 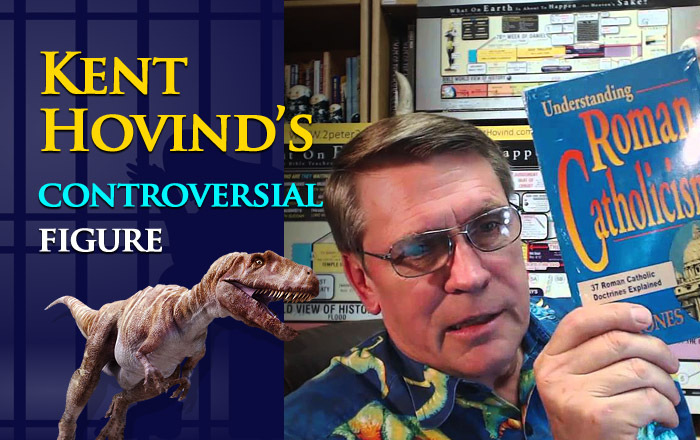 There is an alternative view of Kent Hovind’s legacy: George Lujack might be also right when he says that Kent Hovind is a “prisoner of a cultural religious war.” Everybody can argue about this claim, and although the chances are slim, in the end, it could be also true, who knows? Another point is Kent Hovind's award: let`s think about the title of “Dr” that precedes his name. Show where Kent Hovind debates with Dr. Massimo Pigliucci. In fact, Hovind demonstrates his ignorance by calling his opponent “Mr.” Pigliucci. Lastly, he admitted that Patriot Bible University is not the accredited institution to issue out any titles. Looking through Kent Hovind`s blog, I can see someone who sees the science of evolution better than anybody who has scientific degrees and spends lots of time researching in labs and scholarly and peer-reviewed articles. So, Kent Hovind is a controversial yet interesting person. Only you by yourselves can make a decision about who Kent Hovind is. Still, he raises many questions, and, in the end, remains an undiscovered person. People are waiting for Kent Hovind`s release and want to know the truth. Is it difficult for you to create something new (we are speaking about writing)? Are you too busy or maybe just a little bit lazy or feeling lost – all because you don't know how to go about your critical thinking essay that you have to pass tomorrow, do not worry: we are here to help you out. All you have to do is as easy as type up these few letters on your keyboard: - EssayWritingStore.com - and place an order.